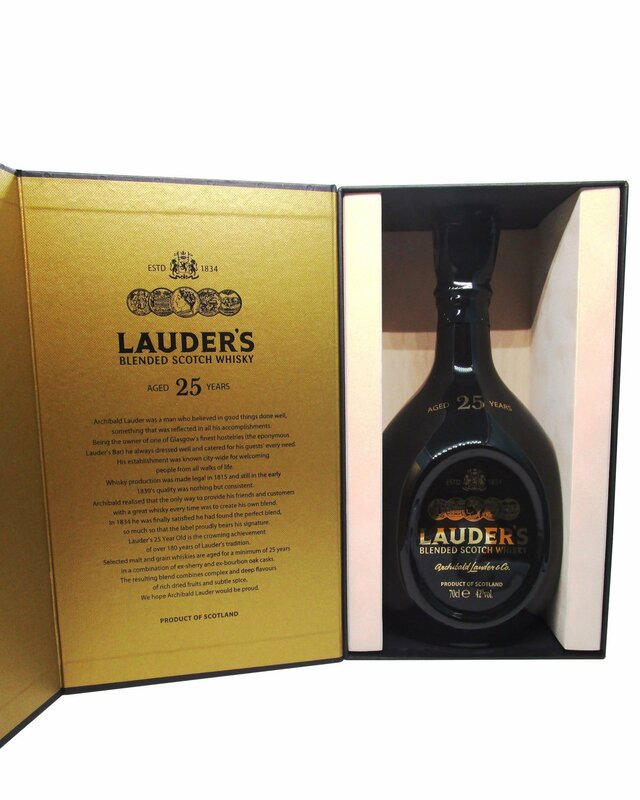 Lauder’s 25 Year Old is the crowning achievement of over 180 years of Lauder’s tradition. 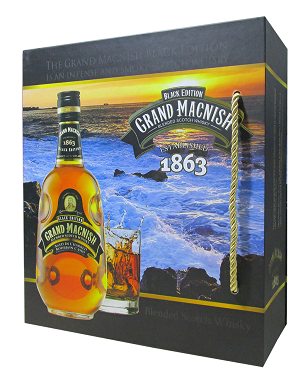 Selected malt and grain whiskies are aged for a minimum of 25 years in a combination of ex-sherry and ex-bourbon oak casks. 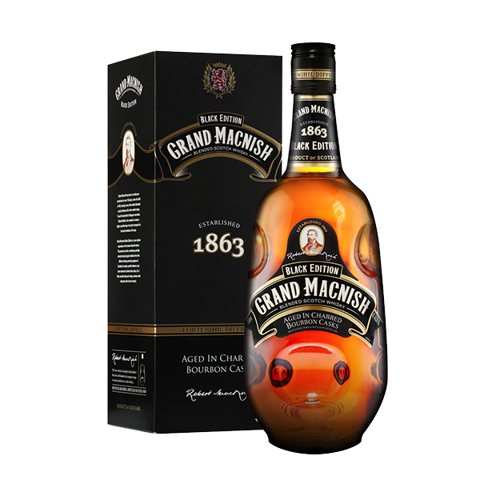 The resulting blend combines complex and deep flavours of rich dried fruits and subtle spice. We hope Archibald Lauder would be proud. Bottled at 42% vol (70 cl.) 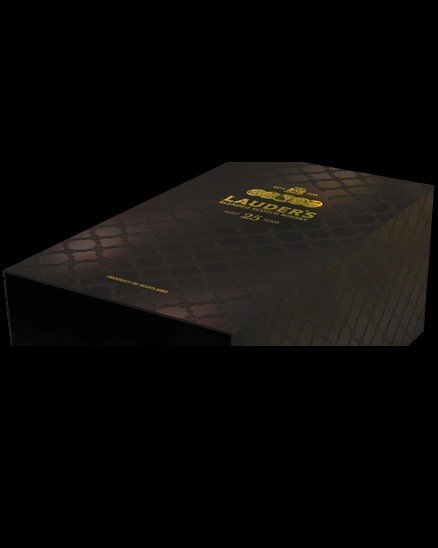 – presented in luxury gift box. 25 year old whiskies selected for their character from renowned Highland and Island single malt distilleries. 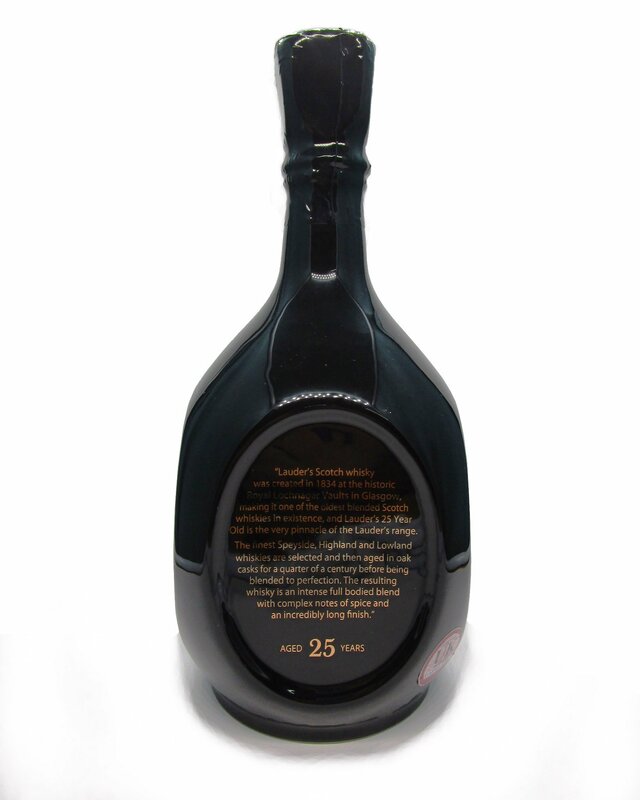 Blended with soft and gentle 25 year old grain whisky to create a unique and mature luxury blend. 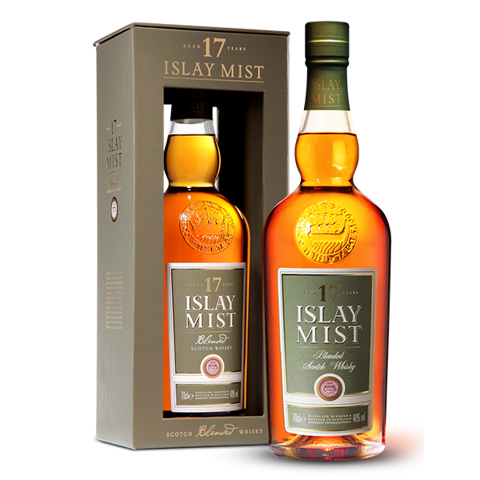 Nose: Soft heather honey maltiness and smooth leather with luscious oak-tones. 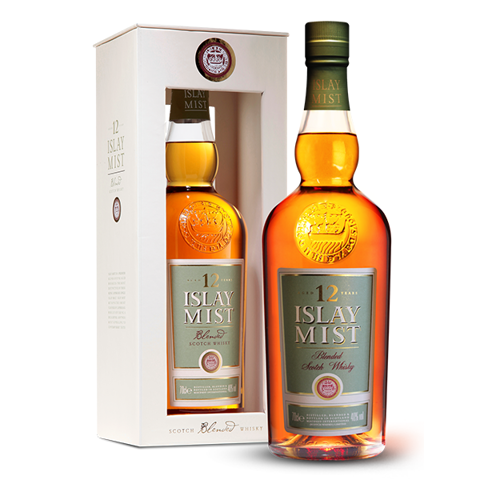 Palate: Gentle warm notes balanced perfectly between soft oak and malt sweetness with an underlying touch of vanilla. Finish: A captivating mature and long lingering softness. Like a long silk covered road to heaven. Archibald Lauder was a man who believed in good things done well, something that was reflected in all his accomplishments. Being the owner of one of Glasgow’s finest hostelries (the eponymous Lauder’s Bar) he always dressed well and catered for his guests’ every need. His establishment was known city-wide for welcoming people from all walks of life. Whisky production was made legal in 1815 and still by the early 1830’s quality was anything but consistent. Archibald realised that the only way to provide his friends and customers with a great whisky every time was to create his own blend. 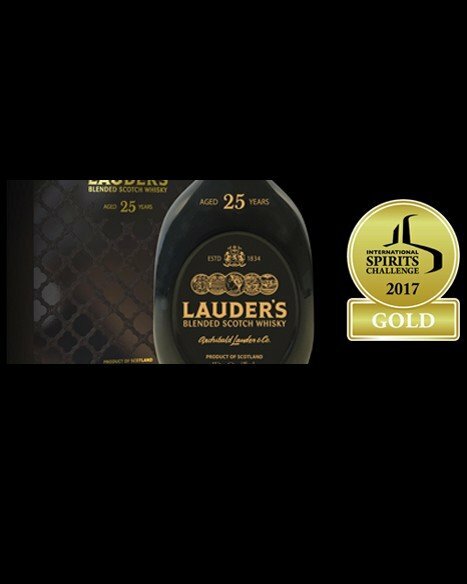 The first unique whisky from the bar appeared in 1834 and Archibald Lauder spent years perfecting that blend. He proudly put his name to the blend and to this day the label still bears his signature.